They are just the most popular wedding chair around, except they are difficult to find in Grand Junction, or Palisade, for that matter! Chiavari chairs are named for the town of Chiavari which is located on the coast of Italy. These chairs originated in the year 1807. One of the good things about these chairs is that you can fit more people around a table because they are more narrow than other wedding chairs. The Wedding House is happy to announce that we have purchased 80 of these chairs and they are painted with a pretty, glossy black lacquer. 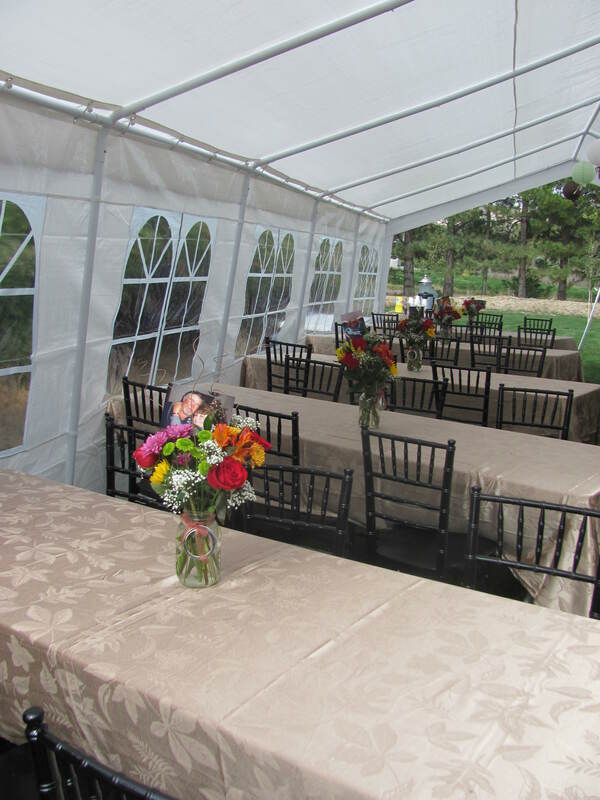 Our Chiavari chairs are included in the price of the venue fee and are also available for rent for your event or party off-site at $6 per chair plus delivery.